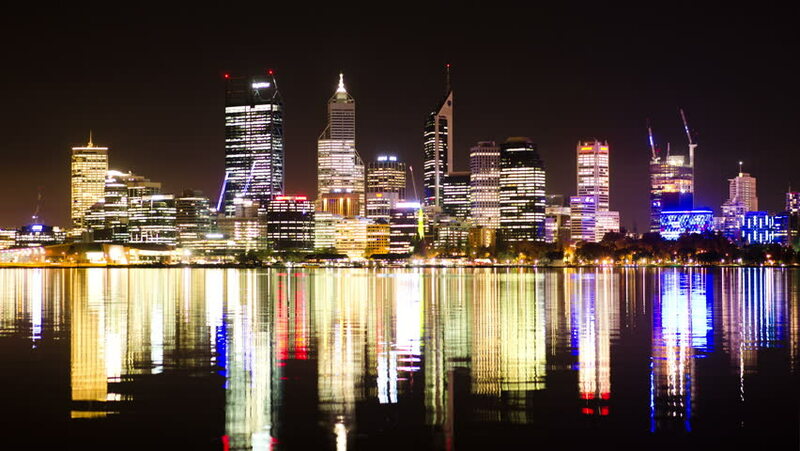 PERTH, AUSTRALIA - SEPTEMBER 2014: Time lapse of the lights of the Perth City skyline, reflecting off the Swan River at night. 4k00:24Brisbane, Queensland, Australia. October 2014: Colors reflected on Brisbane river time lapse. 4k00:08Timelapse- moon setting behind NYC skyline from Long Island City. Colorful reflection in the East River, capturing a beautiful detection of NYC lights at nighttime.